Our community came together on a beautiful morning to help save homeless pets and raise awareness about animal rescue efforts in our neighborhood. We are honored to be selected as an exhibitor at the 2017 Strut Your Mutt in Atlanta, and we are proud to raise funds for such an incredible organization. We’ve fetched a list of beautiful hiking trails near Atlanta, so you and your canine companions can enjoy a “staycation” together whenever you have a few hours to spare. Although downtown Atlanta certainly has its appeal, dog parents in the suburbs don’t have to venture very far to find a pup-friendly park. Whether you want to become a regular at your favorite dog park or simply find a new hangout spot, check out our list of the best dog parks outside the perimeter. Brook Run Dog Park is at the top of our list because of its amenities and its accessibility. Located on North Peachtree Road, the park is easily accessible from 400, 285, and local roads. The three-acre park offers a fenced, woodsy area for dogs to play. Dogs of all sizes are welcome, as the park features separate enclosures for large and small breeds. To ensure the dogs’ safety, the entrances are double-gated, with a small waiting area for dogs to get acclimated before joining the crowd. The park features two water stations for dogs and complimentary waste disposal bags. If you and your dog want to take a walk after playing in the park, you both can enjoy the miles of walking trails just outside the fence! Nestled on the Gwinnett side of the Chattahoochee River, this popular dog park features separate fenced play areas for large and small dogs, along with a central watering station. If your pup likes to swim, then he can take a dip in the river after an afternoon of playing in the park! Just outside the designated dog play area is a public park with picnic tables, a large open field, a pavilion, and walking trails. Spend the afternoon exercising and enjoying the outdoors with your canine companions. Founded in 1996, WolfBrook Dog Club & Park is a full-service dog destination. After searching for the ultimate dog property, the owners finally found a place to match their vision. In addition to the 12-acre private dog park, the club offers daycare and boarding, expert training, a fully fenced competition and training field, an indoor training facility, and nature trails. Waggy World Paw Park offers plenty of shaded areas and benches for visitors to rest while their pups play. Located just behind the Alpharetta Community Center and adjacent to Wills Park, Waggy World is easy to find. A unique feature of this park is the third common area for dogs of all sizes, in addition to the separate areas for large and small breeds. Since the dog play area is located right by Wills Park, you can enjoy a walk with your dog before or after playtime! This spacious dog park features several interactive obstacles for dogs to play on and explore. The park is divided into separate fenced areas for large and small dogs to ensure the comfort of all visitors. If you’re looking for a new park to visit with plenty of room to run, then the Pinckneyville Dog Park is for you! Lewis Dog Park is a well-maintained park in Marietta with designated play areas for large and small dogs. The park tends to get pretty crowded, so it may be overwhelming for a first-time pup who is trying to socialize! The layout of the park makes it easy for dog owners to chat while keeping an eye on their dogs. Guests can sit on benches throughout the park or at picnic tables in a covered area. ﻿Step off the beaten path and enjoy this woodsy park with your pups. The park features two separate fenced play areas for large and small dogs, plenty of seating for dog owners, and a water faucet to keep dogs hydrated. This park has a laid-back, welcoming atmosphere - perfect for new visitors and regulars alike. The Leita Thompson Memorial Park is surrounded by beautiful, well-maintained hiking trails. After you and your pup make new friends in the park, you can both enjoy a long walk together. If you need a quick getaway that's close to home, then this park is for you. 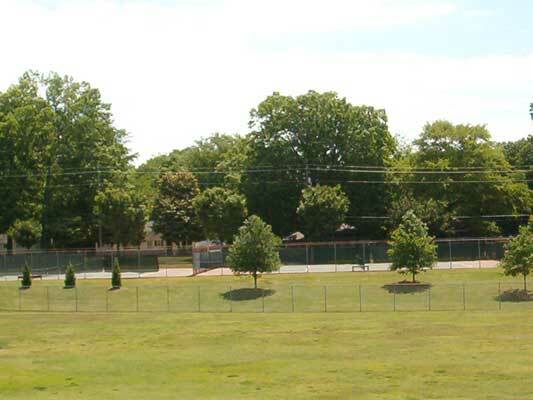 Located along the western edge of Swift-Cantrell Park, the Frank Boone Dog Park has 1.4 fenced acres for dogs to play. The park features separate play areas for large and small dogs, with a dog wash area and watering station. It may be a longer drive than the rest on our list, but it's worth it! Tucked away near the public park and playground at Morgan Falls, this dog park provides a quiet retreat with beautiful views. After your pups play with their friends in the dog park, you can walk them on a leash to the main park, which features a well-maintained picnic area and a nice playground. If you're looking for a park that offers something for the whole family, then Morgan Falls is a great option for you. Did your favorite park make the list? If not, please share it in the comment section so we can tell our community all about it!